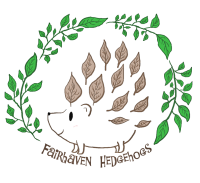 So you want to become a hedgehog breeder? ​ for someone to help you or if you are seriously looking for a mentor and have done thorough RESEARCH. Please give me 24-72 hours to respond to you. 2. Do you currently own hedgehogs? If so, how many? 6. What research have you done about breeding and what have you learned? Again, please give detailed answers! 7. What is a pedigree? 9. Do you know what line breeding and in-breeding is? 11. What does WHS stand for? And what do you know about WHS? 10. Do you know what breeder initials are? 12. Do you know what the purpose of a necropsy is? And would you get a necropsy done when needed? It can be EXTREMELY important in a breeding program to know when and why a necropsy is needed!!! 13. Do you know common health issues in hedgehogs that can be passed down to the babies? Please list any you know or have learned about. 16. How big of a breeder do you plan to become? 17. Do you plan on getting USDA licensed? Do you know anything about the USDA process? 18. Can you deal with babies dying, moms dying, seeing mutilated and cannibalized babies? You will see a lot of sad and horrible things when you are a hedgehog breeder. 19. Are you prepared to hand feed rejected hoglets around the clock every 2 hours for the first 3 weeks of their lives? Hand fed hoglets have a less then 3% chance survival rate when they are under a week old, and most of the time your hard work is done in vain and they pass away from bloat. Who will hand feed if you can't? 20. Do you have extra money set aside in case of emergencies? Please list some of the "common" emergencies you might face when you are breeding... You need to be prepared and know what to look for! 21. Do you know what a BYB is and why they are considered "bad"? Why would a hedgehog breeder be considered a BYB? 3. Have you owned a hedgehog for it's entire lifespan? 5. What do you know about breeding hedgehogs? Please give detailed answers! 4. Have you EVER bred before or had "oops babies"? 22. Do you currently have a mentor or anyone giving you breeding advice? Or have you ever had a mentor or someone giving you breeding advice? If so, who?